Get a great pay monthly deal on the O2 Network, all the latest handsets at low prices. Want super deals on hot new phones and fast 4G mobile data contracts? Then check out the TigerMobiles.com selection of service plans and phones from O2. With loads of flexible options and one of the most recognisable brand names on the UK market, O2 has something for everyone, whatever you need. All you need to do to get started shopping is to check out our simple to use comparison tool below! O2 is one of the oldest mobile providers in the UK and was launched in 1985 under the name Cellnet, with the majority owner being British Telecom. 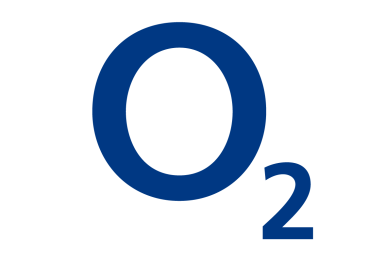 In 2002 the name O2 started to be used, and in 2006 O2 was bought out by Spanish company Telefonica. These days it's the second largest mobile operator in the country and offers a huge range of contracts, PAYG options, and handsets, as well as a super fast 4G mobile data network. As the second largest mobile network in the country, O2 offers 98% coverage across the UK. They were also one of the first networks to offer lightning-fast 4G mobile data speeds, and are currently in the process of expanding their 4G network for maximum UK coverage. So if you're looking for great data plans with fast speeds, O2 is a great choice. O2 has one of the widest ranges of contact and PAYG options available, meaning they're very flexible. You can get 24-month contracts in various sizes, meaning you get the calling, texting and data limits that suit your needs. They also offer reasonable pay as you go SIM cards, and have a programme called Big Bundles that lets you pay a small fee each month for a SIM card and then get a bundle of minutes, texts and data that you would like. When it comes to phones, again, O2 has a huge selection. They were the first UK operator to sell iPhones, and these days stock everything from simple, non-smart phones for those on a budget, to the top end devices that are new on the market. As for extras, there are tons. O2 offers specialised business plans for freelancers and small companies, gives you discounts on tickets at O2 venues, and even recycles phones, so they're an environmentally friendly company! With so many different contract and SIM card offers, and so many mobile phones to choose from, O2 are one of the most flexible mobile networks around. You even get superfast 4G mobile data speeds, and great coverage as well. If O2 is the operator for you, then just check out our comparison tool to find their best deals. O2's primary offering is based around pay monthly contracts that last 24 months. Aside from this their O2 Refresh plans are how they attempt to differentiate. The refresh plan allows customers to upgrade to the latest phones earlier. It works by splitting your pay monthly bill into two parts: device (the cost of your handset), and airtime (the cost of your data, texts and minutes). You can trade in your existing handset after 12 months on specific refresh tariffs, without having to pay off your device in full. O2 Refresh is only available directly from O2, either online or in-store. Aside from the contract deals which are pushed heavily, O2 has pay as you go SIM's and SIM only deals available. O2 customers have a choice of two PAYG options in the form of either a Big Bundle or ‘Classic' pay as you go. O2 Big Bundles offer a set amount of calls, texts and data and each bundle lasts for 30 days. Bundles renew automatically on the same day each month, but only if you have a high enough balance to cover the payment. Classic PAYG is the more traditional pay as you offer, meaning you top up your phone with credit, then pay for calls, texts and data at O2’s standard rates. This is a good option for light users although 1pMobile and Asda are slightly better choices here due to price and credit expiry terms. For customers who aren't too fussed about being tied in for longer, then O2's pay monthly sim only deals run on 12-month contracts. SIM only deals are aimed at customers who are happy with their handset and just needing to pay for their minutes, texts and data. We think O2's offering is reasonable here but not the cheapest and they're known to raise prices once the 12 months is up. O2 also has a few 30 day SIM only deals and some preloaded data SIM's for customers who are wanting a SIM for their tablet or another device. Perhaps O2's best offering is that of refurbished phones that they advertise as ‘like new'. This is perfect for customers who don't really fancy paying of exorbitant price tags on the latest iPhone. There are three categories of ‘like new' handsets: perfect, almost perfect, and perfectly fine and they all come with a 12-month guarantee. In many cases, the devices are brand new and have only been opened. How Does O2 Customer Service Stack Up? The industry regulator OFCOM ranks O2 as the third-best customer service of any mobile provider in the UK as per their latest report. It scored 93% for customer satisfaction and only 3% of O2 customers had reason to complain in the past 12 months; only Tesco Mobile had fewer complaints at 2%. Although this will show a sharp increase after their recent network outage that lasted over 48 hours. Pricing is the number one concern for most customers and O2 certainly isn't the cheapest network out there. There are far more competitive deals around from the mobile virtual network operator or ‘MVNOs' like giffgaff. The only negative with MVNO's is lack of customer service and you're not at the front of the queue for data speeds during busy periods. While O2's two-year contract deals are straightforward, if you sign up for a 12-month SIM-only deal, they do increase the price after the year’s up which isn't a good deal. O2 are also serial offenders when it comes to mid-contract price hikes in line with RPI. Coverage wise O2 claims to cover 98% of the UK population, and from our experience, they're pretty good both at home and abroad. As with the other UK network providers: EE, Three and Vodafone, there are black spots and weak areas across the UK. If you’re thinking of switching to O2, it’s always worth asking around for friends or relatives are in the area to ask them about the signal. Failing that, testing it with a pay as you go SIM beforehand might be worthwhile. So should you go with O2? We think they're on a par with the rest of the networks and are a reliable choice. Not the cheapest but if you can find a competitive deal and the signal works well where you primarily use your phone then they're more than an ok choice. You might be interested in: O2 Customer Reviews.